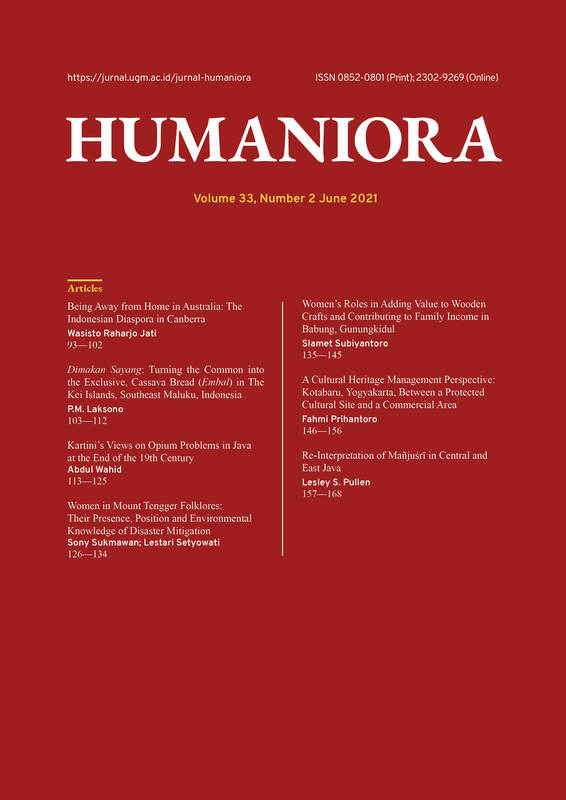 Humaniora is an academic, open access, and peer-reviewed journal founded and first published in 1989 by the Faculty of Cultural Sciences, Universitas Gadjah Mada, Indonesia. Focusing on culture, language, and literature as it is viewed from the Indonesian perspective, Humaniora provides a platform for the presentation, analysis, and criticism of provocative work, publishing articles that transcend disciplines and advance the study of humanities. Issues are published three times per year (in February, June, and October), and since 2016, all articles are published exclusively in English. Submissions are open year-around. However, before submitting, please ensure that the manuscript fits within Humaniora's focus and scope, and is written in English and follows our author guidelines. Please note that only research articles or book review are accepted. Humaniora has been simultaneously accredited by the Ministry of Research, Technology and Higher Education, the Republic of Indonesia in 2006, 2009, 2012, and 2017. The last accreditation is valid until 2023. The certificates are available in the Journal History. Issued Volume: Vol. 31 (1) is Out! Humaniora Vol. 31 (1), February 2019 is freshly published. Starting from this issue, Humaniora has some tasty changes in the layout to get more stylish without reducing the readability of the text itself. Just scroll down the page to get the excellent articles. "Do not write author’s name in any part of the article." Please kindly look at the author guidelines to get a full understanding of the Humaniora's writing guidelines.